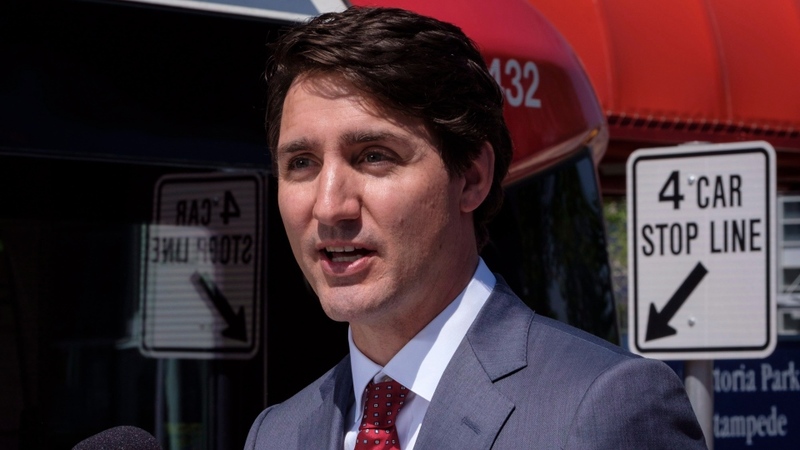 OTTAWA – In Calgary to announce transit funding, Prime Minister Justin Trudeau was met by pro-Kinder Morgan demonstrators who called on him to "build that pipe." Ahead of, during, and after his announcement alongside Calgary Mayor Naheed Nenshi and federal Infrastructure Minister and Alberta MP Amarjeet Sohi, supporters of the Trans Mountain pipeline expansion shouted from afar at Trudeau. "Build KM," and "build that pipe," the pro-pipeline protestors yelled. As Trudeau entered, he thanked the chanters for their "support." They weren't the only ones keen to hear what the federal government is doing, as the May 31 deadline nears for the Texas-based company to receive reassurance the $7.4-billion project can go ahead. Reporters asked the prime minister for an update on what the federal government is doing to address the pipeline impasse, as well as whether the deadline will be met. "We continue to work very very hard, both visibly and behind the scenes," said Trudeau. He said "all necessary parties" are "extremely engaged." After an emergency meeting with the feuding British Columbia and Alberta premiers, Trudeau said financial talks were being initiated, and pledged legislative measures that have yet to be tabled. 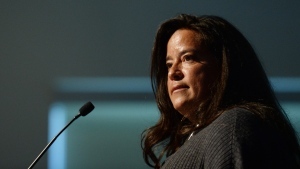 Earlier this month, the federal government announced it would be intervening in the British Columbia government’s court reference on the Kinder Morgan pipeline, to assert the federal government’s jurisdiction. "Everything is on the table as we reflect on how best to move forward in a way that is right for Albertans, right for Canadians, and right for our responsibilities towards the environment," Trudeau said. He also took the opportunity to deride the previous Conservative government's "oil sector first mentality" and "boosterism" that he stated wasn’t successful in seeing any new pipeline projects through. "So I understand that folks here are not super enthused about words" Trudeau said.